Rex enjoys speaking to all manner and sizes of groups--Rotary or Economic Clubs, Chambers of Commerce, business gatherings, corporate leaders, university faculty or staff members, board workshops or retreats, commencements, church services, Sunday Schools, men's retreats, camps, youth meetings, college or school chapels, couples' get-aways, Christmas programs. You name it, and at one time or another, Rex has spoken in your type of venue. So don't hesitate to contact Rex today if you want a speaker who likes to apply biblically Christian perspectives and values to contemporary issues and events--including controversial ones. 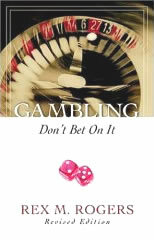 Rex has been interviewed about Gambling, the subject of his first book, on scores of media outlets. He's spoken at anti-gambling rallies and responded to media questions, both friendly and not-so-friendly. He's testified on the subject before the Michigan Legislature and has appeared on Focus on the Family with others to discuss the growth and negative influences of legalized commercial gambling. Rex recently co-authored an eBook called Today, You Do Greatness: A Parable On Success And Significance, the story of an immigrant's climb up the American ladder of success. The eBook contrasts "the world's" values with Christian values. 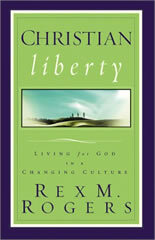 A Christian view of success, significance, and Greatness is another of Rex's favorite speaking topics. 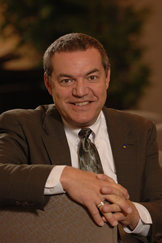 Rex has spoken regularly about his favorite subject, Leadership, for the past fifteen years. He's presently writing a book, Be One of God's Unlikely Leaders, so this subject is near to his heart...and he loves to see the light go on in people's eyes when they realize they, too, can be an unlikely leader for the Lord. Click this link, Public Speaking: Invite Rex, to make him part of your next program.